I posted the Nifty short term view. I looked at the Bank Nifty charts and clearly after the RBI policy was announced, this index is moving downwards. This essentially means the news was already factored in the bank stocks.Now Bank Nifty could lead the fall. In Daily charts - MACD was negative for past few days and sloping downwards. RSI is pointing downwards and Stochastics gave a sell signal. 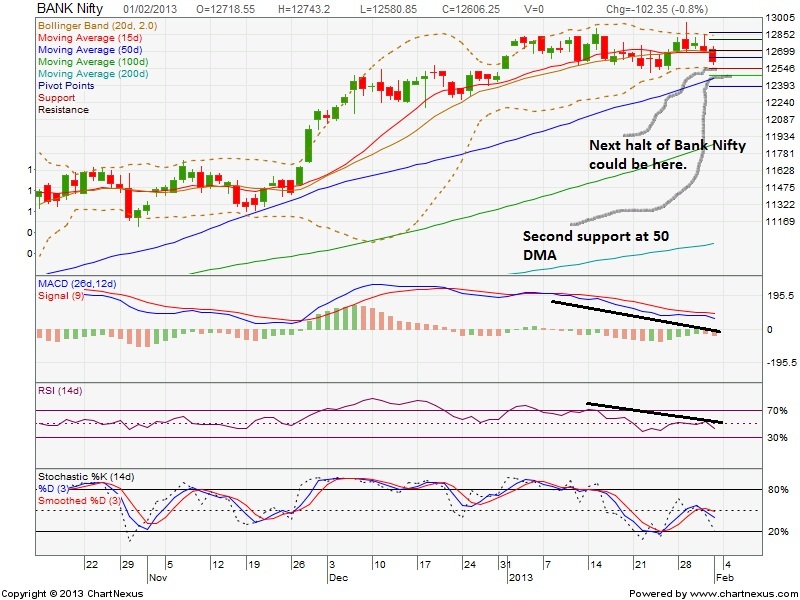 So Bank Nifty could correct till 12500. SBI is good for short sell from that perspective.